A worldwide test of next generation Internet addresses under the IPv6 protocol is underway. A worldwide test of the next generation of Internet addresses was under way Wednesday to replace the dwindling reservoir of numbers in the original system, global Internet service providers say. Hundreds of companies, organizations and institutions around the world are taking part in "World IPv6 Day," including Internet giants such as Facebook, Google, Microsoft and Yahoo! IPv6 is the next-generation of unique identifying numbers for computers and other gadgets connecting to the Internet and is designed to replace the original addressing system, IPv4, which is nearing exhaustion. IPv6 provides more than four billion times more addresses than IPv4 – thus allowing more potential addresses than there are grains of sand on Earth, according to computer experts. Web users, for the most part, will be oblivious to the switch, which began at 0000 GMT Wednesday and is slated to last 24 hours. Under IPv6 complex IP numbers still appear as words and domains, such as google.com. Google, which is enabling IPv6 on Google Search, Gmail, YouTube and other services for 24 hours, said "the vast majority [99.95 percent] of people will be able to access services without interruption." "Either they'll connect over IPv6, or their systems will successfully fall back to IPv4," Google network engineer Lorenzo Colitti told consumers in a google blog post. Colitti estimated that 0.05 percent of systems may fail to fall back to IPv4, making Google, Facebook, Yahoo!, Bing and other participating websites "slow or unresponsive." 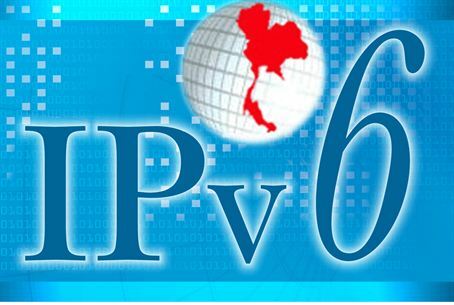 Facebook network engineer Donn Lee said World IPv6 Day "will enable the industry to gain insights about potential IPv6 issues, find solutions, and accelerate global adoption of IPv6." The non-profit Internet Corporation for Assigned Names and Numbers (ICANN), which regulates global Internet architecture, doled out the last available batches of IPv4 numbers in February. The change to IPv6 mainly impacts Internet service providers, websites and network operators who have to make sure their systems can handle the new online addresses and properly route traffic.